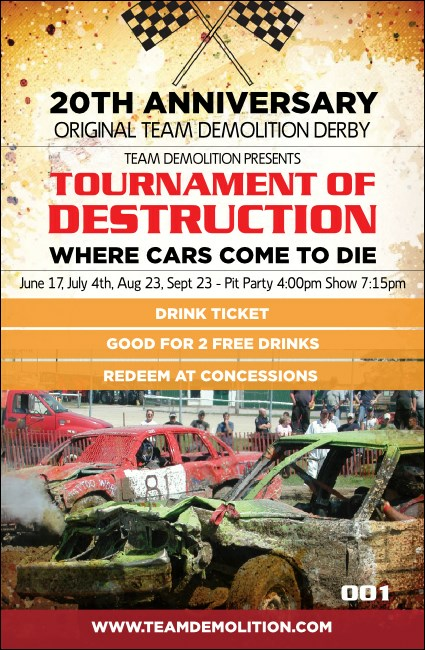 Let your guests cool their engines and grab a cold one when you give them Crash Zone Drink Tickets for your next demolition derby event. Give your guests a break from all the action with tickets that feature a photorealistic picture of a derby event with a speckled orange background design and numbering for security. TicketPrinting.com has the right ticket to keep your event running!